PC/Notebook usability rating: 4/5. About 7 minutes to finish, do not need receipt information. Tablet usability rating: 3/5. No mobile page for Tablet. Need to enter personal information. Smartphone usability rating: 2/5. No mobile page for smartphones. 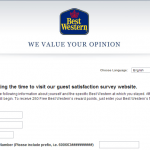 You can still finish Best Western Customer Satisfaction Survey via smartphone, and it may take more than 10 minutes to finish. Indicate your response to each question or statement regarding your hotel stay at Best Western like "How satisfied were you with overall accommodations?" etc. Hotel rewards program is a best way to save money for people who frequently stay in hotels, of course if you are a loyal customer of a hotel brand you love. Whether you like to stay at hotels of Best Western or not, you need to think about becoming a loyal member of Best Western Rewards Program, because its loyalty program is really amazing. First, there are many ways to earn points, hotel stays, use partners credit cards when make purchases, travel with Best Western Airline partners etc. Secondly, there are even more ways to use the points you earn, like free hotel stays, free shopping spree and free dining out opportunities and more. And there are frequently exclusive offers. So join the program is really a big deal for you. 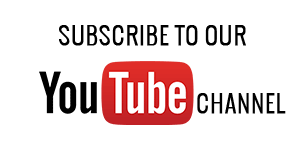 I really don't understand the above, but I do love Cdn Tire, buy most products there, the staff are very helpful, and that will always be my shop. Tina is awesome she went above and beyond to br helpfull!!!! Call me wind because I am abtlousely blown away. Melissa Caroma at the Best Western Mission Bay in San Diego went above and beyond to make our stay work with the inclement weather. She was a very helpful and is a perfect example for what customer service should be. On June 10/15, we stayed at the Best Western, 21650 Lougheed Highway, Maple Ridge, BC V2X 2S1. We would just like you to know that we have never stayed at a worse Best Western. When arriving in our room, we could not get the TV to work or the coffeemaker. We had to call someone to fix the problem. After waiting quite a while, we called again and finally someone came. In the meantime, we discovered that the radio was not in working order, we could not set the time or alarm. When she came, the TV was repaired, the coffee was finally going but nothing could be done about the radio. It was late so we told her not to bother, we could do without an alarm. In the morning we discovered that the plug did not work in the sink. As we told the lady at the desk when we checked out, we would be sure to remember that this is not a Best Western that we would ever stay in again or recommend to anyone.